Sarah is the Scholarly Communication Librarian for the University Libraries. In this role, she leads the UCF Libraries’ scholarly communication and open access outreach efforts. 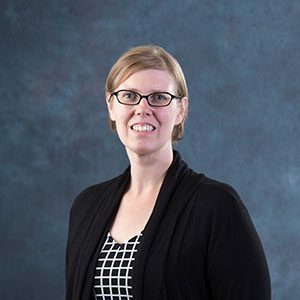 Sarah earned her Master of Library and Information Science degree from Wayne State University and a Bachelor of Science in Public Relations from Northern Michigan University. Prior to UCF, she was the Bibliographic, Access & Metadata Services Librarian at New College of Florida.